But what is a PR strategy? And why the obsession with it now? The digital age has certainly heightened the focus as there are now many different channels to initiate and engage in communication; and relationships between an organisation and its stakeholders can be multi-dimensional. In a Marketing Week supplement on PR strategy, Michael Barnett says that no one-size-fits-all PR strategy can govern how brands should communicate in the digital age so every situation needs careful thought. In a nutshell it can be a plan of action designed to achieve a long term or overall aim. 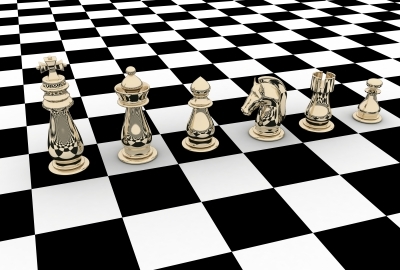 In game theory a strategy refers to the rules that a player chooses between from the available actionable options. The strategist might think through a sequence of solutions to determine the best way to defeat the opponent. In a paper on the Origin of Strategy, Dr Rich Horwarth of the Strategic Thinking Institute says that strategy’s military history has had an impact on the implementation and adoption of the concept in business. The unique combination of wisdom, science and craft have made strategy creation and application a universally sought after skill. Is strategy necessary for good public relations? Strategy can be seen as the thinking, the logic behind the actions (Robert 1997:22). Heather Yaxley in the Public Relations Strategic Toolkit offers some clarity that within the planning framework, campaign strategies need to be considered before detailing tactical aspects of PR. She describes PR strategy as the overall game plan, the overarching idea, concept or approach that explains how a PR objective will be achieved. PR strategy requires making choices – considering what communication approaches within the PR domains will be most effective in achieving goals. Once upon a time, public relations relied on story telling through publicity using a combination of informative and news appeal angles – and that can still work for campaigns requiring an element of mass awareness and talk-ability. But to drive audiences towards action (support, changing behaviour or making a purchase) the strategic approach needs to go beyond telling and use engagement and persuasive approaches. Communication approaches can vary from push to pull, with a range of approaches falling in between using everything from authority, partnerships, alliances and celebrity through to controversy, fear and humour. One of my favourite examples is the strategic approach developed by a precision scales manufacturer who set out to make the science of weight measurement more compelling by creating a worldwide experiment into the effect of gravity on weight. It had huge pull factor, using key influencers and intrigue. The creative concept was ‘The Gnome Experiment’ embodied by a garden gnome called Kern, named after the brand. But it seems the idea of a strategy having a starting and finishing point is questionable. Acccording to the Economist a strategy is not a plan afterall! In a review of Lawrence Freedman’s book, “Strategy: A History” he says that strategy is really all about trying to work out a sensible way of how to get from one stage to the next – there is no end point because all situations are dynamic. I agree, especially when it comes to influencing others through communication. Real time communication is what people are doing so any public relations strategy should be flexible so that it can evolve and adapt to changing situations. If you’ve enjoyed reading this, you might find this checklist helpful for PR planning and f you’d like to find out more about my PR training courses, then do get in touch.